Warner Bros. Pictures and Legendary Pictures have slated their take on the classic Godzilla franchise to kick off the Summer moviegoing season on May 16, 2014. The joint announcement was made today by Dan Fellman, president of Domestic Distribution, and Veronika Kwan Vandenberg, president of International Distribution, Warner Bros. Pictures, and by Legendary Pictures. Toho Co. Ltd.’s Godzilla franchise contains one of the most widely recognized movie monsters worldwide, including more than 25 films, multiple television programs, video games and book series. Legendary, which has been developing the project, and its partner Warner Bros. will return the character to its epic roots with a gritty, realistic actioner. The project will fall under Legendary’s overall agreement with Warner Bros.
A presentation of Warner Bros. Pictures and Legendary Pictures, the film will be distributed worldwide by Warner Bros. Pictures, a Warner Bros. Entertainment Company, except in Japan, where it will be distributed by Toho Co. Ltd. The tent pole film is expected to be presented in 3D. 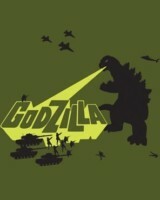 Tags: "Godzilla", Gareth Edwards, Warner Bros.